Living On The Edge | Safe Bet? A Houston Texas-based company that wants to build the nation’s first coal-to-gasoline plant in Wyoming has trimmed its request for state taxpayer-backed Industrial Development bonds from $300 million to no more than $100 million — an action that allows the company’s bid for the bonds to bypass legislative approval and rely only on approval of Carbon County, the State Treasurer and Gov. 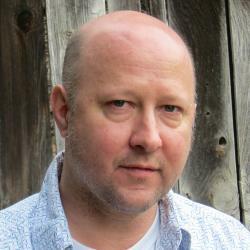 Matt Mead. DKRW Advanced Fuels LLC announced its original $300 Industrial Development bond request last fall, and had a short window of time to pull together an independent technical and financial review to bring to the legislature for its short winter session, which began on Monday. Without that detailed analysis, Wyoming lawmakers were unlikely to approve the company’s original $300 million Industrial Development bond request, according to legislative leaders. “That’s where the rubber meets the road. None of us have ever seen the whole package put together,” says Rep. Jeb Steward, R-Encampment. Steward is a member of the Joint Appropriations Committee, responsible for guiding the curbing of state budgets to meet expected lowered revenues on weak natural gas prices. DKRW also has a parallel request for another $245 million under a separate bonding mechanism (tax-exempt industrial revenue bonds) which requires approval from Carbon County and Gov. Mead. Unlike the Industrial Development bonds, the tax-exempt bond issuance requires no financial backing or liability from any of the local governments. If both requests are approved, a total of $345 million in bonds would be issued toward DKRW’s $2 billion project located about 12 miles southwest of Medicine Bow in Carbon County. Wyoming’s State Treasurer would use funds from the state’s Permanent Mineral Trust to purchase the $100 million in Industrial Development bonds. Industrial Development bonds are debt securities issued by a government to help private companies build projects in the hopes that they provide jobs and bolster the local economy. Tax-exempt industrial revenue bonds essentially work the same way, and their tax-exempt status provides an extra incentive for purchasers in the bond markets. “We believe, and the State Treasurer will have to approve this, that there’s a very good rate of return,” DKRW chairman Robert Kelly told members of the Joint Minerals, Business and Economic Development interim committee on Saturday. Carbon County commissioners have already approved both bond requests. 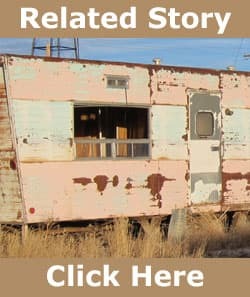 Now, the task of determining whether DKRW is a safe bet for taxpayer—backed bonds lies with the Wyoming Business Council and the State Treasurer’s office. Kelly claims that Medicine Bow Fuel & Power LLC, a wholly-owned subsidiary of DKRW, will generate between $450 million and $500 million annually from sales of gasoline, carbon dioxide (for enhanced oil recovery) other refined products. But there are skeptics who say coal-to-liquids is a risky bet due to the volatility of oil and gasoline markets. Additionally, some environmental groups see coal-to-liquids as a kind of sandtrap of continued impacts of mining, and American reliance on emissions-heavy transportation fuels, with no real progress towards energy independence using clean fuels. Richard Garrett, the Wyoming Outdoor Council’s legislative and energy advocate, said his group does support coal-to-liquids as a concept, so long as CO2 from the operations is either used for enhanced oil recovery or permanent geological sequestration. Medicine Bow Fuel & Power’s emissions permit with the state, for example, does not prevent the plant from venting all CO2 emissions. “What is going to happen to the CO2 if its marketability declines?” said Garrett. Garrett also noted that there’s been frequent and serious spills and accidents at Wyoming’s large-scale industrial facilities, particularly the Sinclair refinery in Carbon County. “We believe there are lessons that can be learned from other industrial scale plants around the state that can be applied to this plant as well, so we don’t repeat the same mistakes,” said Garrett. As for DKRW’s request for $245 million in tax-exempt industrial revenue bonds, it must meet qualifying guidelines regarding “waste disposal.” The re-use of various catalysts used in the process help qualify specific equipment under the tax-exempt bond program. Other potential qualifications include the sale of slag that can be used in road-building. So far, DKRW has no contracts in place with potential buyers for the slag. The first stage of Medicine Bow Fuel & Power’s coal-to-liquids plant, at a cost of $2 billion, would convert coal from Arch Coal’s adjacent Saddleback Hills and Elk Mountain mine properties into a daily output of 10,600 barrels of gasoline. Last year, DKRW signed a 25 year contract with international commodities trader Vitol Inc. to purchase 100 percent of the gasoline production, which will be transported by pipeline and sold into the Colorado Front Range market. In addition, the plant would produce about 100 million cubic feet (Mmcf) of CO2 per day to be sold for enhanced oil recovery — a burgeoning market in the Rockies given the high price of oil. Dunbury Resources Inc. is contracted to buy 100 percent of the plant’s CO2 sales. If all goes according to DKWR’s plan, construction of the plant could begin late this summer. That would kick off a 4-year construction phase requiring some 2,200 workers at peak construction and support 415 direct full-time jobs. DKRW estimates the plant — essentially a coal refinery — would inject some $1.4 billion into Wyoming’s economy directly over the 30-year life of the plant, and trigger even more multiplier economic benefits throughout the state’s economy. Kelly said DKRW hopes to incrementally increase the capacity of the plant after the initial phase is in operation, and it may come back to the state requesting additional bond issuances to support those efforts. Right now, it’s unclear how much it would cost to add a second or third train to the plant. Critics, including some Wyoming legislators, have already questioned some of DKRW’s figures. For example, the company’s projection of $1.4 billion in revenue to the state includes an estimated $307 million in oil severance tax based on expectations that Denbury Resources Inc. — which has contracted to buy 100 percent of CO2 sales from the plant — will use all of the CO2 for enhanced oil recovery in Wyoming. In fact, one of Denbury’s first targets for CO2-based enhanced oil recovery is its Bell Creek field just across the border in Montana. As the nation’s No. 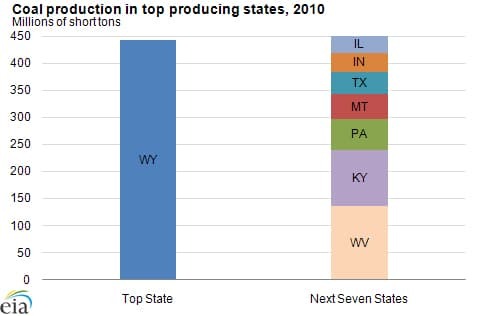 1 coal-producing region, Wyoming has long supported such “value-added” fossil fuel conversion proposals, hoping to both harness more revenue from its vast mineral wealth and secure more market security in the face of impending regulatory carbon constraints that already diminish Wyoming coal’s traditional market among U.S. power plants. Despite the fact that converting coal to gasoline isn’t likely to create a vast new demand for Wyoming coal, DKRW has appealed to the state’s longing to feel a part of an “advanced coal technologies” future. Whether state leaders will approve DKRW’s bond requests depends on the results of a technical and financial review of the project by Idaho National Laboratory, which has modeled similar coal conversion processes. “The state will look at (INL’s) recommendations, compare it to what DKRW says, and make our own recommendation, then forward that to our board, and either forward a recommendation to the governor or stop the process at that point,” said Mike Martin, manager of business finance at the Wyoming Business Council. DKRW will pay about $130,000 for the review, according to the company. 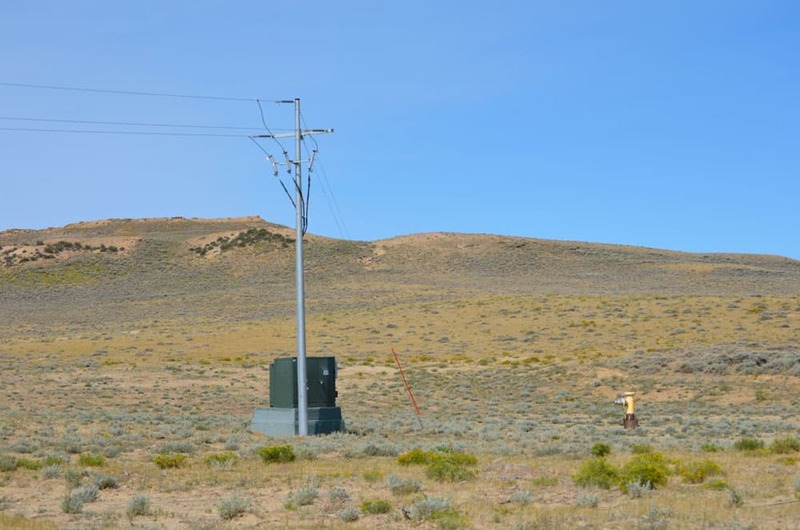 DKRW officials said they were awaiting a decision by the Wyoming Attorney General regarding confidentiality of the financial forecast inputs they must submit, before the company will give INL the green light to begin the review. WyoFile, the Associated Press and other media outlets have requested access to all financial information related to the DKRW/INL review legally available under the Freedom of Information Act. A favorable INL review might have helped the company win over legislators, but company officials said that even if they had gotten the INL review started already, it would not have been completed in time for the legislature to consider during its short budget session. Timing wasn’t the only consideration for DKRW’s decision to request issuance of a lower amount of bonds. As Wyoming lawmakers begin their winter session this week, they face trimming the state budget due to falling natural gas prices. Many say they were uncomfortable with the size of DKRW’s original $300 million Industrial Development bond request. Rep. Jeb Steward represents constituents in the Carbon County region, and he said there’s been overwhelming support for the project ever since it was first proposed some six years ago. But DKRW’s request last fall for $300 million in Wyoming-backed Industrial Development bonds has shaken some of that confidence, according to Steward. DKRW joins the ranks of Char Fuels of Wyoming Inc. and a handful of others who have found an eager audience among Wyoming politicians willing to invest taxpayer resources in so-called advanced technologies that add value to the state’s raw mineral resources. Wyoming — the nation’s largest coal producer — has put millions of dollars toward “advanced conversion” efforts at both the research and development stages in recent years. Yet, the complexity of building the nation’s first coal-to-gasoline plant, at an estimated total cost of $2 billion, has been some six years in the making. The long process has added to the anxiety among some lawmakers and citizens alike about making such a large investment of taxpayer dollars into a private endeavor. “I have a problem with dealing with somebody who has the best of intentions but no real assets on the ground,” Rep. James Byrd, D-Laramie, told DKRW chairman Robert Kelly on Saturday, at the interim committee’s last meeting before the session begins. Wyoming does have a track record of betting on so-called “advanced coal” proposals, and other large private business endeavors. Just a year ago Wyoming lawmakers agreed to raise the Industrial Revenue bond cap from $100 million to $600 million — stipulating that any amount over $100 million would require legislative approval. At the time, lawmakers expected a company to request the full $600 million amount for a project pending in Sweetwater County, but that request was never submitted. 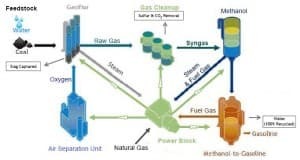 Many energy-based projects are in the works, too, such as a plan by Casper-based Nerd Energy to convert natural gas to liquid fuels. The state’s Industrial Development bond program has been in existence for many years, but only used a few times. The Powell-based aviation company Hawkins & Powers received $4.6 million through the program in 2004, then defaulted on its loan after one of its firefighting planes crashed and the company’s fleet was grounded for safety concerns. The loan was eventually paid back with proceeds from the sale of the company, but $150,000 in interest was left unpaid. Kelly said DKRW plans to win the state’s confidence the same way it believes it will win confidence among private investors; by proving its operational and profitability case with the INL review, pointing to its existing long-term contract to sell the gasoline, and securing long-term contracts for its coal feedstock and its C02 product. DKRW is working with CitiBank to secure $800 million to $1.1 billion toward the project, according to Kelly. Even if the state were not to approve one or both of the bond requests, the company would still move forward with the project. Kelly said the state-approved bond packages will win more confidence from private investors. He believes investors – state or private – should be confident. “Based on the oil price forecast, the off-take sales (gasoline, carbon dioxide and other products) add up to $450 million to $500 million per year,” said Kelly. DKRW officials, at one point, also hoped to make use of federal loan guarantees to attract lenders, but decided not to take that route. The Energy Policy Act of 2005 authorized loan guarantees for renewable energy and advanced conversion (chiefly coal gasification) fossil fuel-based projects. DKRW’s Medicine Bow project was selected — among only a handful of fossil fuel projects — for up to $1.75 billion in federal loan guarantees, which could come in the form of federal money, or federally-insured private investment. Although the federal program remains an option to help fund the Medicine Bow plant, Kelly said the U.S. Department of Energy under the Obama administration has shifted the program’s focus to renewables and away from fossil fuels. The collapse of solar-energy company Solyndra — a recipient of a DOE loan guarantee whose basis has since been questioned — only bolstered DKRW’s decision to rely on its private investment and public bond strategy, Kelly added. 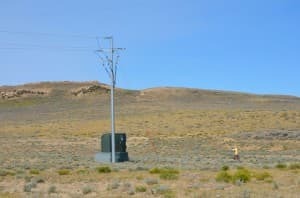 In recent years, Wyoming has launched the School of Energy Resources at the University of Wyoming, invested millions of dollars and attracted millions in matching grants to embark on advanced energy technologies in renewables, fossil fuels and nuclear. Eager to support private efforts such as DKRW’s Medicine Bow project and Nerd Energy’s interest in natural gas-to-liquids, the Joint Minerals, Business and Economic Development interim committee quickly offered up a draft bill that would put $10 million toward early-stage engineering and design requirements. “My question is should we be doing $20 million or $30 million? Do we have enough money set aside to make sure we’re doing clean coal?” Rep. David Zwonitzer, R-Laramie, said during a committee hearing on Saturday. That level of support exists among state leaders even after the state’s flagship coal project ran aground this past year. 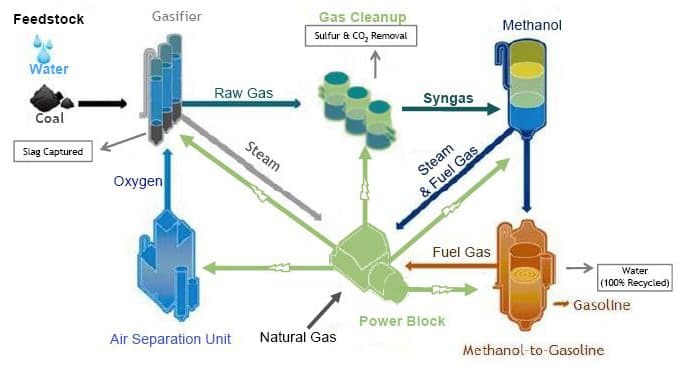 The University of Wyoming and GE Energy entered into a 50-50 partnership to build the $100 million High Plains Gasification-Advanced Technology research center in Cheyenne, which would have focused on lowering the cost of using Powder River Basin coal in gasification. GE shelved the project due to the lack of a national energy policy to give electric utilities clear emissions targets. Despite major uncertainties in world energy markets and no clear policy on climate change, some leaders in Wyoming seem bullish on taking some risk in leading the nation on both energy technology and energy policy. Contact Dustin Bleizeffer at 307-577-6069 or dustin@wyofile.com. Check out Wyoming Public Radio’s feature on DKRW’s Wyoming project and coal-to-liquids. Jeb Steward is clueless if he thinks there’s “overwhelming support” for this. Man-camps quadrupling the size of a tiny town. Execs who were partially responsible for enormous financial disaster in the past(Enron). Against the best interests of the WY Mineral Trust Fund. More investment in backward-looking petroleum products at a time and place where investment in other alternatives makes much more sense. This is a bad idea on many levels. Keep DKRW out of here. So put this thing down in Pavillion and use the contaminated water from fracking. Every time one of the Coal To liquids plants threatens to open they ask for $300 million in tax payer money.Then a couple more years pass and they come back and ask for twice that amount.This time they’re going to start low at $100 million and within a year work up from that. Same scam just a new day. Having heard a similar proposal for the Crow Reservation in MT, I paid attention long enough to learn that it takes about 100 barrels of water for each barrel of synfuel – and just where is all the water going to come from in the already over-appropriated North Platte watershed?